Though my overall complexion is already fair, I wish I had a more even skin tone. Almost my entire body is quite pale save for my feet and forearms which are a little darker. I attribute this to the fact that these areas are more exposed to the sun, especially since I wear sandals and short-sleeved tops a lot of the time. In the past year or so I've taken extra pre-caution to try and get those areas lighter again. One is by religiously using ample sun protection even if I'll be indoors most of the time, and the other is by using an umbrella on sunny days even if I've already applied heaps of sunscreen. Of course I know that alone won't be enough and I'll need a good skin care product (or two) that can help me achieve fairer, more evenly toned skin faster. One product I decided to try that's still relatively new to the market is Belo's Intensive Whitening Body Cream. The product is housed in an easy-to-squeeze tube that holds 150ml of product. I find the amount too little for my liking, but that's only because I tend to buy big tubs or bottles when it comes to lotions or body creams because of my dry skin and how much I have to apply everyday. If you don't have dry skin and/or only apply whitening type products to certain areas, this should last you a good while. Either way, at less than Php200, there's no complaining! 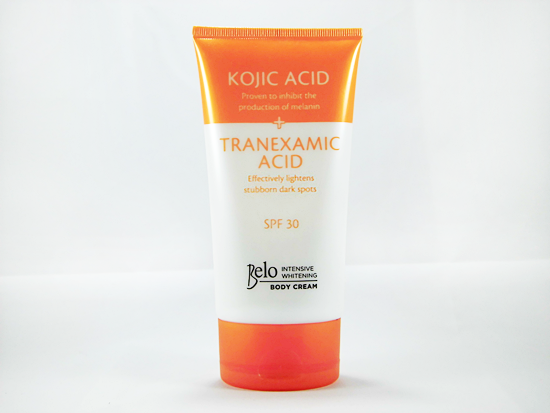 Tranexamic Acid, a peptide, inhibits inflammation and melanin formulation. It is ideal for stubborn dark spots that do not respond to other skin lightening ingredients. So what these two ingredients are basically around to do is to prevent or inhibit melanin production. Quick science tidbit: When exposed to the sun, your skin absorbs tiny amounts of radiation. To protect you, your body automatically produces melanin which in turn darkens your skin. It does this because darker skin is able to absorb radiation, meaning your skin receives less damage from the sun. That's all well and good. At least I know even if I expose myself to the sun, the product's main ingredients (as well as the generous level of SPF in it) should help to stop more melanin from being produced and I won't get any darker. But is that it? What about actually lightening and brightening my skin? I did a bit of research and so far I found out that Tranexamic Acid is supposed to also disperse existing melanin. In a way, it can help to 'dilute' your existing melanin level which could lead to fairer looking skin. Aside from that, since less melanin will now be formed with the regular application of both ingredients, it'll allow skin to eventually return back to its normal color (or 'whiten') on its own. I hope that all made sense! 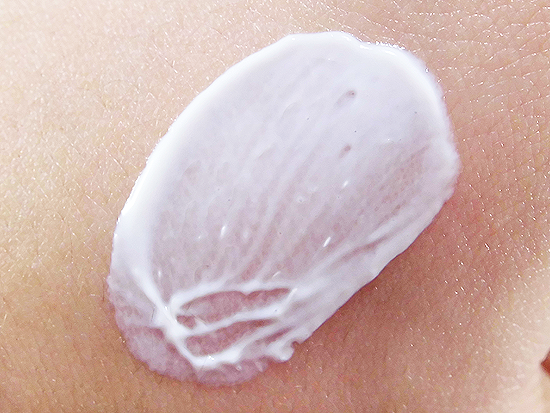 The body cream or lotion itself has a thick and rich, but somehow still light, consistency. I was pleasantly surprised with how it absorbs into my skin fairly quickly. I definitely don't feel greasy and icky when slathering this on after my shower, even if it's a hot and humid day. It spreads around like a dream too. I can't stand lotions that need me to repeatedly buff them into my skin just to make sure they won't sit on the surface and slip and slide around. 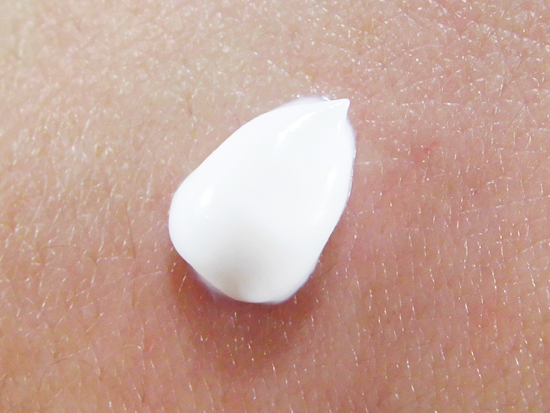 The cream has a scent that's similar to most other lotions of the whitening variety and it's quite mild. I do like the scent actually and impressively, it can last up to half a day or a little longer provided I don't sweat or I mostly remain indoors. Belo recommends using this twice a day, which I did. I applied generous amounts all over my body; concentrating most on my feet, forearms, as well as the tops of my arms (near my shoulders). Within a month I was able to consume the entire tube. So what were the results? Well unfortunately my skin didn't show any significant levels of lightening, but it did appear a little brighter overall, especially when it came to my arms. They certainly didn't look as dull and dark as they did prior to me trying this product! I was obviously disappointed that my skin was still unevenly colored, but I have to say that I've tried many other whitening body products before and most others had absolutely zero effect on my skin. So I was disappointed, but not completely. Perhaps if I paired this with the Belo Intensive Whitening body soap, as Belo also recommends, I would have gotten better results. That and maybe one tube simply wasn't enough. It's too bad I didn't bring either with me here to Japan for me to test that out! Lastly, despite the strong presence of Kojic Acid, known to be quite drying to skin, it's very moisturizing and does a good job of hydrating my skin for most of the day - especially the driest parts such as my feet, legs, and elbows. Despite the lack of more visible results, I have to say that I can still give this product a big thumbs up. At the very least it acts as a solidly performing lotion or body cream that moisturizes well and is perfect for everyday use, especially with its more than decent sun protection factor. If it works better for you and does manage to lighten and give you more evenly toned skin, then consider that a nice bonus! This may end up as your "HG body lotion". Has a mild, pleasant scent. Even if it has a thick and rich consistency, it spreads easily onto skin. Has a generous amount of SPF that protects skin from both UVA and UVB rays. Despite the presence of Kojic Acid, it's highly moisturizing. The skin on my arms look a little brighter and not as dull and dark anymore. I wish this came in more sizes with varying amounts of product, particularly bigger sizes that hold more than 150ml.